IDF starts Ground Operation in Gaza. Avoid MSM lies – follow live here. Hamas has from the beginning and until now launched 400 rockets against Israel but thanks to Israels rocket defence system Iron Dome most of them have been intercepted. There has been very few injuries from the Hamas rockets. There are only two incidents, one where a rocket hit a gas station in Ashdod and injured a disabled man who couldn’t come out of his car that was set aflame. Courageous people saved him. Also a civilian house was hit in this attack but no people were hurt. The second incident was in the southern Israeli city of Beersheba where Gaza rocket hit residential building. One person severely injuried. Also two IDF soldiers got hit by fracments of Hamas rockets, the report says they will be alright. 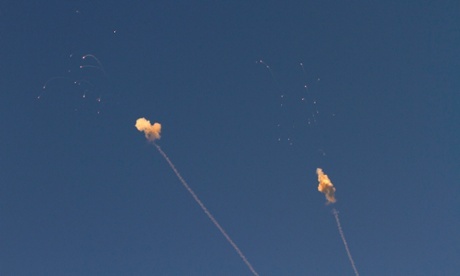 From the beginning of the war until now Israel has hit around 1000 decided targets in Gaza. 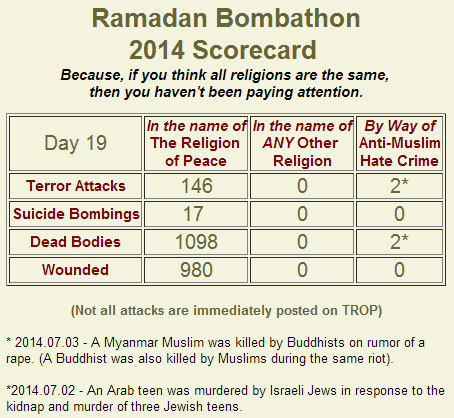 They also report they have destroyed 2000 rockets and morters in Gaza during the 4 days of Operation Protective Edge. The death toll on the palestinian side is about 100. The high number of casuelties comes because Hamas uses civilians as living bomb shields. You can see in this video how IDF warns people on the ground and shortly after there are loads of civilians on the roof, so IDF decides not to bomb the house.